Citation Information: JCI Insight. 2017;2(24):e92821. https://doi.org/10.1172/jci.insight.92821. Citation Information: JCI Insight. 2017;2(24):e92854. https://doi.org/10.1172/jci.insight.92854. Many theories have been advanced to better understand why β cell function and structure relentlessly deteriorate during the course of type 2 diabetes (T2D). These theories include inflammation, apoptosis, replication, neogenesis, autophagy, differentiation, dedifferentiation, and decreased levels of insulin gene regulatory proteins. However, none of these have considered the possibility that endogenous self-repair of existing β cells may be an important factor. To examine this hypothesis, we conducted studies with female Zucker diabetic fatty rats fed a high-fat diet (HFD) for 1, 2, 4, 7, 9, 18, or 28 days, followed by a return to regular chow for 2–3 weeks. Repair was defined as reversal of elevated blood glucose and of inappropriately low blood insulin levels caused by a HFD, as well as reversal of structural damage visualized by imaging studies. We observed evidence of functional β cell damage after a 9-day exposure to a HFD and then repair after 2–3 weeks of being returned to normal chow (blood glucose [BG] = 348 ± 30 vs. 126 ± 3; mg/dl; days 9 vs. 23 day, P < 0.01). After 18- and 28-day exposure to a HFD, damage was more severe and repair was less evident. Insulin levels progressively diminished with 9-day exposure to a HFD; after returning to a regular diet, insulin levels rebounded toward, but did not reach, normal values. Increase in β cell mass was 4-fold after 9 days and 3-fold after 18 days, and there was no increase after 28 days of a HFD. Increases in β cell mass during a HFD were not different when comparing values before and after a return to regular diet within the 9-, 18-, or 28-day studies. No changes were observed in apoptosis or β cell replication. Formation of intracellular markers of oxidative stress, intranuclear translocation of Nrf2, and formation of intracellular antioxidant proteins indicated the participation of HFD/oxidative stress induction of the Nrf2/antioxidant pathway. Flow cytometry–based assessment of β cell volume, morphology, and insulin-specific immunoreactivity, as well as ultrastructural analysis by transmission electron microscopy, revealed that short-term exposure to a HFD produced significant changes in β cell morphology and function that are reversible after returning to regular chow. These results suggest that a possible mechanism mediating the ability of β cells to self-repair after a short-term exposure to a HFD is the activation of the Nrf2/antioxidant pathway. Citation Information: JCI Insight. 2017;2(24):e94500. https://doi.org/10.1172/jci.insight.94500. Declining levels of maternal antibodies were shown to sensitize infants born to dengue-immune mothers to severe disease during primary infection, through the process of antibody-dependent enhancement of infection (ADE). With the recent approval for human use of Sanofi-Pasteur’s chimeric dengue vaccine CYD-TDV and several vaccine candidates in clinical development, the scenario of infants born to vaccinated mothers has become a reality. This raises 2 questions: will declining levels of maternal vaccine-induced antibodies cause ADE; and, will maternal antibodies interfere with vaccination efficacy in the infant? To address these questions, the above scenario was modeled in mice. Type I IFN–deficient female mice were immunized with live attenuated DENV2 PDK53, the core component of the tetravalent DENVax candidate currently under clinical development. Pups born to PDK53-immunized dams acquired maternal antibodies that strongly neutralized parental strain 16681, but not the heterologous DENV2 strain D2Y98P-PP1, and instead caused ADE during primary infection with this strain. Furthermore, pups failed to seroconvert after PDK53 vaccination, owing to maternal antibody interference. However, a cross-protective multifunctional CD8+ T cell response did develop. Thus, our work advocates for the development of dengue vaccine candidates that induce protective CD8+ T cells despite the presence of enhancing, interfering maternal antibodies. Citation Information: JCI Insight. 2017;2(24):e94939. 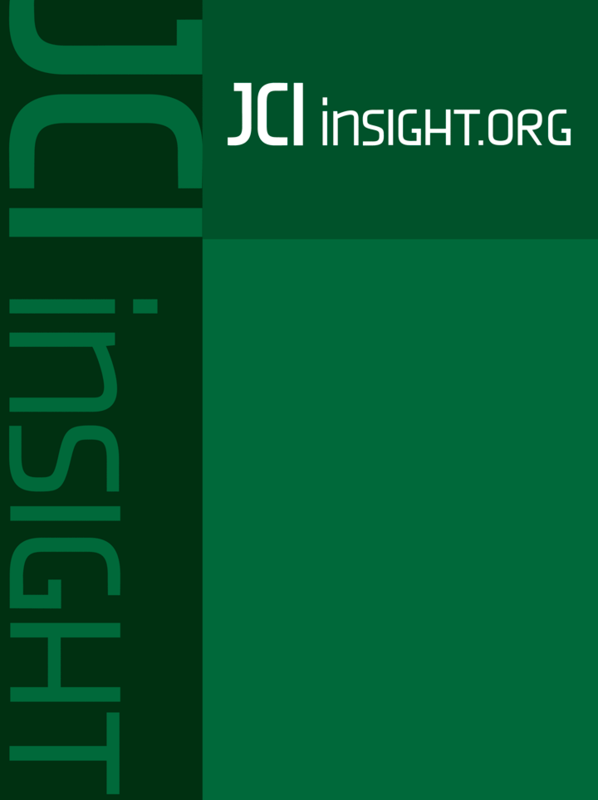 https://doi.org/10.1172/jci.insight.94939. Childhood obesity is a major global concern, with over 50 million children now classified as obese. Obesity has been linked to the development of numerous chronic inflammatory diseases, including type 2 diabetes and multiple cancers. NK cells are a subset of innate effector cells, which play an important role in the regulation of adipose tissue and antitumor immunity. NK cells can spontaneously kill transformed cells and coordinate subsequent immune responses through their production of cytokines. We investigated the effect of obesity on NK cells in a cohort of obese children, compared to children with a healthy weight. We demonstrated a reduction in peripheral NK cell frequencies in childhood obesity and inverse correlations with body mass index and insulin resistance. Compared with NK cells from children with normal weight, we show increased NK cell activation and metabolism in obese children (PD-1, mTOR activation, ECAR, and mitochondrial ROS), along with a reduced capacity to respond to stimulus, ultimately leading to loss of function (proliferation and tumor lysis). Collectively we show that NK cells from obese children are activated, metabolically stressed, and losing the ability to perform their basic duties. Paired with the reduction in NK cell frequencies in childhood obesity, this suggests that the negative effect on antitumor immunity is present early in the life course of obesity and certainly many years before the development of overt malignancies. Citation Information: JCI Insight. 2017;2(24):e96184. https://doi.org/10.1172/jci.insight.96184. Cardiac hypertrophic remodeling during chronic hemodynamic stress is associated with a switch in preferred energy substrate from fatty acids to glucose, usually considered to be energetically favorable. The mechanistic interrelationship between altered energy metabolism, remodeling, and function remains unclear. The ROS-generating NADPH oxidase-4 (Nox4) is upregulated in the overloaded heart, where it ameliorates adverse remodeling. Here, we show that Nox4 redirects glucose metabolism away from oxidation but increases fatty acid oxidation, thereby maintaining cardiac energetics during acute or chronic stresses. The changes in glucose and fatty acid metabolism are interlinked via a Nox4-ATF4–dependent increase in the hexosamine biosynthetic pathway, which mediates the attachment of O-linked N-acetylglucosamine (O-GlcNAcylation) to the fatty acid transporter CD36 and enhances fatty acid utilization. These data uncover a potentially novel redox pathway that regulates protein O-GlcNAcylation and reprograms cardiac substrate metabolism to favorably modify adaptation to chronic stress. Our results also suggest that increased fatty acid oxidation in the chronically stressed heart may be beneficial. Citation Information: JCI Insight. 2017;2(24):e96455. https://doi.org/10.1172/jci.insight.96455. Lungs allografts have worse long-term survival compared with other organ transplants. This is most likely due to their unique immunoregulation that may not respond to traditional immunosuppression. For example, local NO generation by inducible NOS (iNOS) is critical for lung allograft acceptance but associates with rejection of other solid organs. The source of NO in accepting lung allografts remains unknown. Here, we report that, unlike the case for other pulmonary processes in which myeloid cells control NO generation, recipient-derived eosinophils play a critical and nonredundant role in iNOS-mediated lung allograft acceptance. Depletion of eosinophils reduces NO levels to that of recipients with global deletion of iNOS and leads to a costimulatory blockade–resistant form of rejection. Furthermore, NO production by eosinophils depends on Th1 polarization by inflammatory mediators, such as IFN-γ and TNF-α. Neutralization of such mediators abrogates eosinophil suppressive capacity. Our data point to what we believe to be a unique and previously unrecognized role of eosinophil polarization in mediating allograft tolerance and put into perspective the use of high-dose eosinophil-ablating corticosteroids after lung transplantation. Citation Information: JCI Insight. 2017;2(24):e96700. https://doi.org/10.1172/jci.insight.96700. Mutations in the ubiquitin ligase scaffold protein Cullin 3 (CUL3) cause the disease familial hyperkalemic hypertension (FHHt). In the kidney, mutant CUL3 (CUL3-Δ9) increases abundance of With-No-Lysine [K] Kinase 4 (WNK4), with excessive activation of the downstream Sterile 20 (STE20)/SPS-1–related proline/alanine-rich kinase (SPAK) increasing phosphorylation of the Na+-Cl– cotransporter (NCC). CUL3-Δ9 promotes its own degradation via autoubiquitination, leading to the hypothesis that Cul3 haploinsufficiency causes FHHt. To directly test this, we generated Cul3 heterozygous mice (CUL3-Het), and Cul3 heterozygotes also expressing CUL3-Δ9 (CUL3-Het/Δ9), using an inducible renal epithelial–specific system. Endogenous CUL3 was reduced to 50% in both models, and consistent with autoubiquitination, CUL3-Δ9 protein was undetectable in CUL3-Het/Δ9 kidneys unless primary renal epithelia cells were cultured. Abundances of WNK4 and phosphorylated NCC did not differ between control and CUL3-Het mice, but they were elevated in CUL3-Het/Δ9 mice, which also displayed higher plasma [K+] and blood pressure. Abundance of phosphorylated Na+-K+-2Cl– cotransporter (NKCC2) was also increased, which may contribute to the severity of CUL3-Δ9–mediated FHHt. WNK4 and SPAK localized to puncta in NCC-positive segments but not in NKCC2-positive segments, suggesting differential effects of CUL3-Δ9. These results indicate that Cul3 haploinsufficiency does not cause FHHt, but dominant effects of CUL3-Δ9 are required. Citation Information: JCI Insight. 2017;2(24):e96703. https://doi.org/10.1172/jci.insight.96703. Increased sugar consumption is a risk factor for the metabolic syndrome including obesity, hypertriglyceridemia, insulin resistance, diabetes, and nonalcoholic fatty liver disease (NAFLD). Carbohydrate responsive element–binding protein (ChREBP) is a transcription factor that responds to sugar consumption to regulate adaptive metabolic programs. Hepatic ChREBP is particularly responsive to fructose and global ChREBP-KO mice are intolerant to diets containing fructose. It has recently been suggested that ChREBP protects the liver from hepatotoxicity following high-fructose diets (HFrDs). We directly tested this hypothesis using tissue-specific ChREBP deletion. HFrD increased adiposity and impaired glucose homeostasis in control mice, responses that were prevented in liver-specific ChREBP-KO (LiChKO) mice. Moreover, LiChKO mice tolerated chronic HFrD without marked weight loss or hepatotoxicity. In contrast, intestine-specific ChREBP-KO (IChKO) mice rapidly lost weight after transition to HFrD, and this was associated with dilation of the small intestine and cecum, suggestive of malabsorption. These findings were associated with downregulation of the intestinal fructose transporter, Slc2a5, which is essential for fructose tolerance. Altogether, these results establish an essential role for intestinal, but not hepatic, ChREBP in fructose tolerance. Citation Information: JCI Insight. 2017;2(24):e96773. https://doi.org/10.1172/jci.insight.96773. Aminoglycoside antibiotics are used to treat life-threatening bacterial infections but can cause deafness due to hair cell death in the inner ear. Compounds have been described that protect zebrafish lateral line hair cells from aminoglycosides, but few are effective in the cochlea. As the aminoglycosides interact with several ion channels, including the mechanoelectrical transducer (MET) channels by which they can enter hair cells, we screened 160 ion-channel modulators, seeking compounds that protect cochlear outer hair cells (OHCs) from aminoglycoside-induced death in vitro. Using zebrafish, 72 compounds were identified that either reduced loading of the MET-channel blocker FM 1-43FX, decreased Texas red–conjugated neomycin labeling, or reduced neomycin-induced hair cell death. After testing these 72 compounds, and 6 structurally similar compounds that failed in zebrafish, 13 were found that protected against gentamicin-induced death of OHCs in mouse cochlear cultures, 6 of which are permeant blockers of the hair cell MET channel. None of these compounds abrogated aminoglycoside antibacterial efficacy. By selecting those without adverse effects at high concentrations, 5 emerged as leads for developing pharmaceutical otoprotectants to alleviate an increasing clinical problem. Citation Information: JCI Insight. 2017;2(24):e96896. https://doi.org/10.1172/jci.insight.96896. Heterogeneity within and among tumors in a metastatic cancer patient is a well-established phenomenon that may confound treatment and accurate prognosis. Here, we used whole-exome sequencing to survey metastatic breast cancer tumors from 5 patients in a rapid autopsy program to construct the origin and genetic development of metastases. Metastases were obtained from 5 breast cancer patients using a rapid autopsy protocol and subjected to whole-exome sequencing. Metastases were evaluated for sharing of somatic mutations, correlation of copy number variation and loss of heterozygosity, and genetic similarity scores. Pathological features of the patients’ disease were assessed by immunohistochemical analyses. Our data support a monoclonal origin of metastasis in 3 cases, but in 2 cases, metastases arose from at least 2 distinct subclones in the primary tumor. In the latter 2 cases, the primary tumor presented with mixed histologic and pathologic features, suggesting early divergent evolution within the primary tumor with maintenance of metastatic capability in multiple lineages. We used genetic and histopathological evidence to demonstrate that metastases can be derived from a single or multiple independent clones within a primary tumor. This underscores the complexity of breast cancer clonal evolution and has implications for how best to determine and implement therapies for early- and late-stage disease. Citation Information: JCI Insight. 2017;2(24):e97381. https://doi.org/10.1172/jci.insight.97381. Adaptation to air breathing after birth is dependent upon the synthesis and secretion of pulmonary surfactant by alveolar type 2 (AT2) cells. Surfactant, a complex mixture of phospholipids and proteins, is secreted into the alveolus, where it reduces collapsing forces at the air-liquid interface to maintain lung volumes during the ventilatory cycle. ABCA3, an ATP-dependent Walker domain containing transport protein, is required for surfactant synthesis and lung function at birth. Mutations in ABCA3 cause severe surfactant deficiency and respiratory failure in newborn infants. We conditionally deleted the Abca3 gene in AT2 cells in the mature mouse lung. Loss of ABCA3 caused alveolar cell injury and respiratory failure. ABCA3-related lung dysfunction was associated with surfactant deficiency, inflammation, and alveolar-capillary leak. Extensive but incomplete deletion of ABCA3 caused alveolar injury and inflammation, and it initiated proliferation of progenitor cells, restoring ABCA3 expression, lung structure, and function. M2-like macrophages were recruited to sites of AT2 cell proliferation during the regenerative process and were present in lung tissue from patients with severe lung disease caused by mutations in ABCA3. The remarkable and selective regeneration of ABCA3-sufficient AT2 progenitor cells provides plausible approaches for future correction of ABCA3 and other genetic disorders associated with surfactant deficiency and acute interstitial lung disease. Citation Information: JCI Insight. 2017;2(24):e97585. https://doi.org/10.1172/jci.insight.97585. Oxygen-induced retinopathy (OIR) is a widely used model to study ischemia-driven neovascularization (NV) in the retina and to serve in proof-of-concept studies in evaluating antiangiogenic drugs for ocular, as well as nonocular, diseases. The primary parameters that are analyzed in this mouse model include the percentage of retina with vaso-obliteration (VO) and NV areas. However, quantification of these two key variables comes with a great challenge due to the requirement of human experts to read the images. Human readers are costly, time-consuming, and subject to bias. Using recent advances in machine learning and computer vision, we trained deep learning neural networks using over a thousand segmentations to fully automate segmentation in OIR images. While determining the percentage area of VO, our algorithm achieved a similar range of correlation coefficients to that of expert inter-human correlation coefficients. In addition, our algorithm achieved a higher range of correlation coefficients compared with inter-expert correlation coefficients for quantification of the percentage area of neovascular tufts. In summary, we have created an open-source, fully automated pipeline for the quantification of key values of OIR images using deep learning neural networks. Citation Information: JCI Insight. 2017;2(24):e97626. https://doi.org/10.1172/jci.insight.97626. C5a receptor 1 (C5aR1) is a G protein–coupled receptor for C5a and also an N-linked glycosylated protein. In addition to myeloid cells, C5aR1 is expressed on epithelial cells. In this study, we examined the role of C5aR1 in bacterial adhesion/colonization of renal tubular epithelium and addressed the underlying mechanisms of this role. We show that acute kidney infection was significantly reduced in mice with genetic deletion or through pharmacologic inhibition of C5aR1 following bladder inoculation with uropathogenic E. coli (UPEC). This was associated with reduced expression of terminal α-mannosyl residues (Man; a ligand for type 1 fimbriae of E. coli) on the luminal surface of renal tubular epithelium and reduction of early UPEC colonization in these mice. Confocal microscopy demonstrated that UPEC bind to Man on the luminal surface of renal tubular epithelium. In vitro analyses showed that C5a stimulation enhances Man expression in renal tubular epithelial cells and subsequent bacterial adhesion, which, at least in part, is dependent on TNF-α driven by C5aR1-mediated intracellular signaling. Our findings demonstrate a previously unknown pathogenic role for C5aR1 in acute pyelonephritis, proposing a potentially novel mechanism by which C5a/C5aR1 signaling mediates upregulation of carbohydrate ligands on renal tubules to facilitate UPEC adhesion. Citation Information: JCI Insight. 2017;2(24):e97818. https://doi.org/10.1172/jci.insight.97818. BACKGROUND. In patients with limited response to conventional therapeutics, repositioning of already approved drugs can bring new, more effective options. Current drug repositioning methods, however, frequently rely on retrospective computational analyses and genetic testing — time consuming methods that delay application of repositioned drugs. Here, we show how proteomic analysis of liquid biopsies successfully guided treatment of neovascular inflammatory vitreoretinopathy (NIV), an inherited autoinflammatory disease with otherwise poor clinical outcomes. METHODS. Vitreous biopsies from NIV patients were profiled by an antibody array for expression of 200 cytokine-signaling proteins. Non-NIV controls were compared with NIV samples from various stages of disease progression. Patterns were identified by 1-way ANOVA, hierarchical clustering, and pathway analysis. Subjects treated with repositioned therapies were followed longitudinally. RESULTS. Proteomic profiles revealed molecular pathways in NIV pathologies and implicated superior and inferior targets for therapy. Anti-VEGF injections resolved vitreous hemorrhages without the need for vitrectomy surgery. Methotrexate injections reversed inflammatory cell reactions without the side effects of corticosteroids. Anti–IL-6 therapy prevented recurrent fibrosis and retinal detachment where all prior antiinflammatory interventions had failed. The cytokine array also showed that TNF-α levels were normal and that corticosteroid-sensitive pathways were absent in fibrotic NIV, helping explain prior failure of these conventional therapeutic approaches. CONCLUSIONS. Personalized proteomics can uncover highly personalized therapies for autoinflammatory disease that can be timed with specific pathologic activities. This precision medicine strategy can also help prevent delivery of ineffective drugs. Importantly, proteomic profiling of liquid biopsies offers an endpoint analysis that can directly guide treatment using available drugs. Citation Information: JCI Insight. 2017;2(24):e98094. https://doi.org/10.1172/jci.insight.98094. Primary myelofibrosis is a myeloproliferative neoplasm associated with significant morbidity and mortality, for which effective therapies are lacking. β-Arrestins are multifunctional adaptor proteins involved in developmental signaling pathways. One isoform, β-arrestin2 (βarr2), has been implicated in initiation and progression of chronic myeloid leukemia, another myeloproliferative neoplasm closely related to primary myelofibrosis. Accordingly, we investigated the relationship between βarr2 and primary myelofibrosis. In a murine model of MPLW515L-mutant primary myelofibrosis, mice transplanted with donor βarr2-knockout (βarr2–/–) hematopoietic stem cells infected with MPL-mutant retrovirus did not develop myelofibrosis, whereas controls uniformly succumbed to disease. Although transplanted βarr2–/– cells homed properly to marrow, they did not repopulate long-term due to increased apoptosis and decreased self-renewal of βarr2–/– cells. In order to assess the effect of acute loss of βarr2 in established primary myelofibrosis in vivo, we utilized a tamoxifen-induced Cre-conditional βarr2-knockout mouse. Mice that received Cre (+) donor cells and developed myelofibrosis had significantly improved survival compared with controls. These data indicate that lack of antiapoptotic βarr2 mediates marrow failure of murine hematopoietic stem cells overexpressing MPLW515L. They also indicate that βarr2 is necessary for progression of primary myelofibrosis, suggesting that it may serve as a novel therapeutic target in this disease. Citation Information: JCI Insight. 2017;2(24):e94355. https://doi.org/10.1172/jci.insight.94355. Accurate HIV-1 incidence estimation is critical to the success of HIV-1 prevention strategies. Current assays are limited by high false recent rates (FRRs) in certain populations and a short mean duration of recent infection (MDRI). Dynamic early HIV-1 antibody response kinetics were harnessed to identify biomarkers for improved incidence assays. We conducted retrospective analyses on circulating antibodies from known recent and longstanding infections and evaluated binding and avidity measurements of Env and non-Env antigens and multiple antibody forms (i.e., IgG, IgA, IgG3, IgG4, dIgA, and IgM) in a diverse panel of 164 HIV-1–infected participants (clades A, B, C). Discriminant function analysis identified an optimal set of measurements that were subsequently evaluated in a 324-specimen blinded biomarker validation panel. These biomarkers included clade C gp140 IgG3, transmitted/founder clade C gp140 IgG4 avidity, clade B gp140 IgG4 avidity, and gp41 immunodominant region IgG avidity. MDRI was estimated at 215 day or alternatively, 267 days. FRRs in untreated and treated subjects were 5.0% and 3.6%, respectively. Thus, computational analysis of dynamic HIV-1 antibody isotype and antigen interactions during infection enabled design of a promising HIV-1 recency assay for improved cross-sectional incidence estimation.